"Can a coffee be too perfect? That's the criticism leveled at the coffees from Costa Rica - too balanced, too clean, too mild." We roast your coffee within 24 hours of shipping. This way you received the best coffee for your cup possible! Taste the Difference of Fresh Roasted Coffee! Costa Rican Coffees are known to be full-flavored, with lively acidity, and are very fragrant and tangy. We have dedicated ourselves to providing our customers with the finest beans roasted in small batches to meet each order. That means that each batch of coffee is custom roasted to order and packaged by hand. This ensures your coffee is truly the freshest, best tasting coffee for your cup. Tres Rios: Fills your cup with a lively snap that makes this a good morning coffee with a bright cup, but rich enough to be excellent at any time of day... mild, well balanced, sweetly smooth and a medium full body. Tres Rios: This strictly hard bean (SHB) has fine acidity, full body and vibrant flavor which give it a distinctive character well balanced and sweetly smooth. Tres Ríos region are considered "the Bordeaux" of Costa Rica. The tradition of growing, milling and sun drying these exceptional beans has been passed down from father to son for generations. 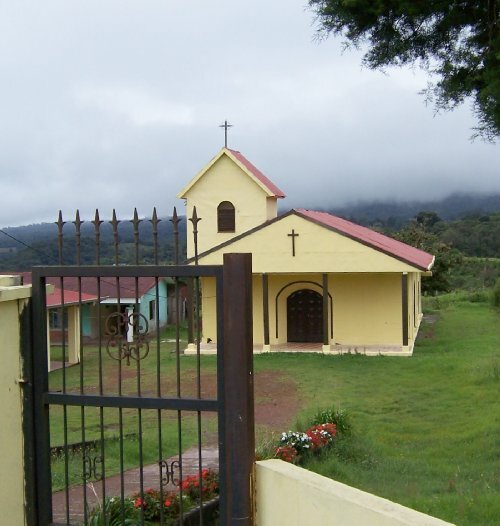 The Tres Rios region near the pacific coast produces coffees that are mild sweet and bright. Situated in the heart of Central America, Costa Rica boasts an affluent and thriving specialty coffee industry. Arabica coffee is the only coffee type grown in Costa Rica by law. The microclimates of Costa Rica are well known for their high-grown, hard bean, and superior flavor profiles. Bright and lively, Costa Rican coffees typically can deliver sparkling floral and fruit notes along with a sweet toasty balance. This coffee is perfect as your morning cup, or paired with a classic layer cake. The Tres Rios, or “Three Rivers” region is situated just east and fairly close to Costa Rica’s capital, San Jose. It is one of seven coffee-growing zones in Costa Rica, and is specifically known for a well-balanced cup with intense aromas. Under the shadow of the Irazú Volcano in central Cost Rica, coffee from the Tres Rios region benefits from a very specific microclimate. This region has consistently produced specialty coffee since the beginning of the 20th century. The Tres Rios region is located along the Pacific Watershed, which is characterized by well-defined wet and dry seasons. 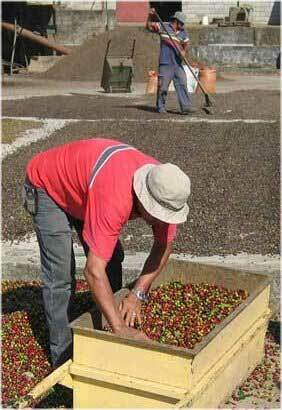 During the months of December and April, the coffee cherries are fully ripe and harvested in the warm, dry weather. Sadly for coffee lovers, this fertile land is now getting snatched up by real estate developers at a rapid rate. The coffee yield has dropped considerably and farms are pressured to sell of their acreage little by little. Tres Rio's fertile volcanic soil, shady conditions, and an altitude of more than 4000 feet above sea level all contribute to a bright and well-balanced cup. Hand Crafted for the best beans. All coffee beans are handpicked, selected for the hardest beans, sun dried, processed & packed on the farm, then shipped to the United States for custom roasting. When the coffee is processed and packed on each farm, you are assured of pure regional coffee, not a blend or mix of coffees from several farms or regions! Custom Roasted for GMHP by Cafe Cortez. After selecting only the best coffee beans, we roast them in a consistently perfect manner with techniques approved by the SCAA (Specialty Coffee Association of America). Arabica, High-Altitude, Hand-Picked, Strictly Hard Bean, gourmet coffee, processed under the most rigid quality standards. Our Arabica coffees comes from a more delicate, higher-altitude tree and grows at a lower temperature and receives only 2 hours of direct sunlight a day. The Arabica bean is harder and has a denser aroma. We roast our coffee with the most advanced roasting techniques to ensure the best final product. We only import coffee from the most recent crop, which makes a real difference in both taste and aroma. Cafe Cortez is a 3rd generation Costa Rican coffee company. The family has known and loved coffee and the land since birth. This honor of their land and country have let them to respect and protect the environment and use sustainable growing practices as well as respect their workers and pay them a fair wage, as reflected in their More Than Fair Certification.